Santa Monica, Calif. — Starz, a Lionsgate company (NYSE: LGF.A, LGF.B), announced today that the hit STARZ Original series “Power” created by Courtney A. Kemp will welcome Top Dawg Entertainment international superstar, Kendrick Lamar to appear in a guest role opposite 50 Cent in the not-to-miss episode 505. The episode will air on Sunday, July 29th at 8PM ET/PT on STARZ and will be available for download and streaming on the STARZ app and STARZ ON DEMAND starting at 12:01AM ET. Platinum-selling, Grammy®-award and Pulitzer Prize winner Kendrick Lamar is one of the rare artists who has achieved critical and commercial success while earning the respect and support of those who inspired him. A native of Compton, Calif., Lamar released his debut album, “good kid, m.A.A.d city” in October 2012 which debuted at number two on the Billboard 200 and earned him seven Grammy Award nominations. His second album, “To Pimp a Butterfly,” released in March 2015 immediately earned rave reviews and topped the Billboard 200, garnering Lamar five Grammy® nominations with a win for Best Rap Album. On April 14 2017, Lamar released his fourth studio album, “DAMN.” which sold 603,300 copies in its first week and remained number one on the Billboard 200 for four consecutive weeks. Complex Magazine claimed it is his “most ambitious album to date” and Rolling Stone named him “the most gifted rapper of a generation.” Lamar made history earlier this year winning a Pulitzer Prize for music. 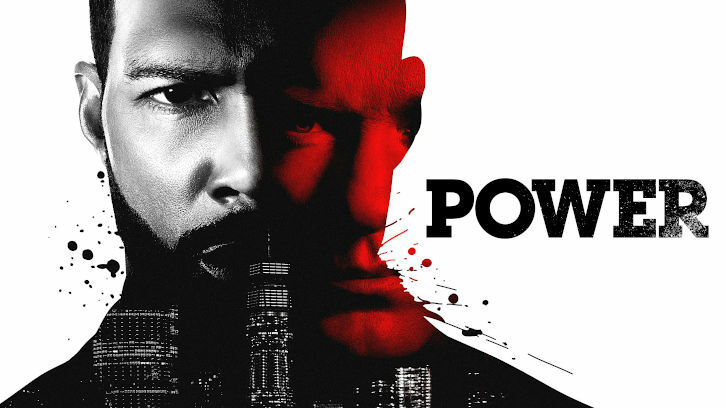 “Power” returned for its highly-anticipated fifth season on Sunday, July 1 more than doubling the record-breaking acquisition and viewership performance on the STARZ App over Season 4, and growing 40% in VOD viewing and 9% in total average audience season over season. The hugely successful New York-based crime drama from executive producer Curtis “50 Cent” Jackson and show creator Courtney Kemp continues to raise the stakes and in the upcoming episode 505 “Happy Birthday,” The St. Patricks celebrate Tariq’s birthday… the first time without Raina and Tasha finds a shoulder to cry on in Terry Silver. Ghost is on the outs with Tate and the Queens Child Project and discovers Dre is ready to replace him in the legitimate world, driving him toward reckless behavior. Kanan drops Tariq back at school, the two of them bonding over their shared mistrust of Ghost. The St. Patricks celebrate Tariq's birthday without Raina; Ghost is on the outs with Tate and learns Dre is ready to replace him in the legitimate world.